Recently we had a great job done by Tom, one of our installation leaders, with multiple installations on the same property. 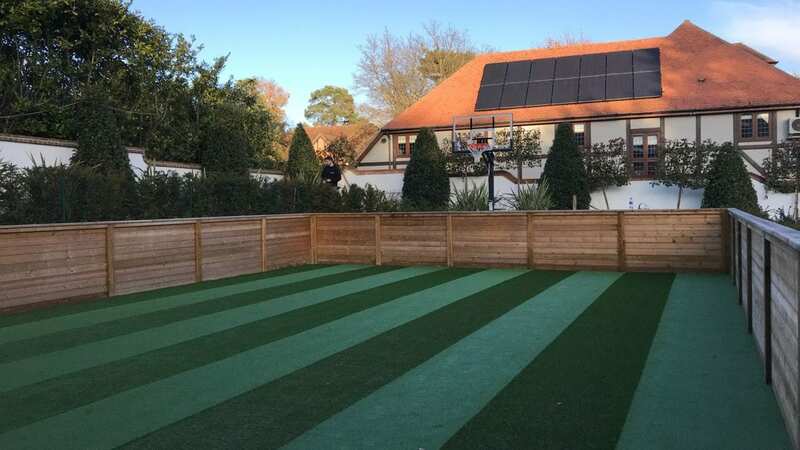 One of the installations involved laying our Trulawn Continental grass as an enclosed lawn for use as a kick-about area. As you can see from the picture it’s an extremely sleek finish, with some major distinction in those grass stripe lines. To achieve this look it takes a bit of time, precision and patience. The stripes are created by simply brushing the pile in opposite directions from one length to the other. The more time and precision you devote to the brushing, the sleeker the lines will look, so don’t rush from one side to the other. This effect is achievable on any pile height, the grass pictured above is one of our shortest grasses at just 22mm. However, it is more quickly noticeable on grasses of longer pile heights. You’re encouraging the grass to angle in a certain direction, but the natural position will still be vertical. After time and use these stripes will eventually need to be re-brushed to make them stand out again. This effect can also be achieved with a stiff push brush, but it’ll take a bit more elbow grease. Why do the stripes appear different colours? The grass is all the same colour but the stripes appear different colours due to the reflection of light. On the stripes which appear lighter the light is reflecting off the back of the blades of grass, whereas on the dark side you are looking into the pile where there is shadow. There is a good and best side to artificial grass, the best being looking into the pile. Wherever your desired vantage point is (typically from the house looking out into the lawn) you should be looking into the grass pile, i.e. the blades facing towards you. This is to avoid seeing the reflection of light off of the other side of the grass which can appear shiny. 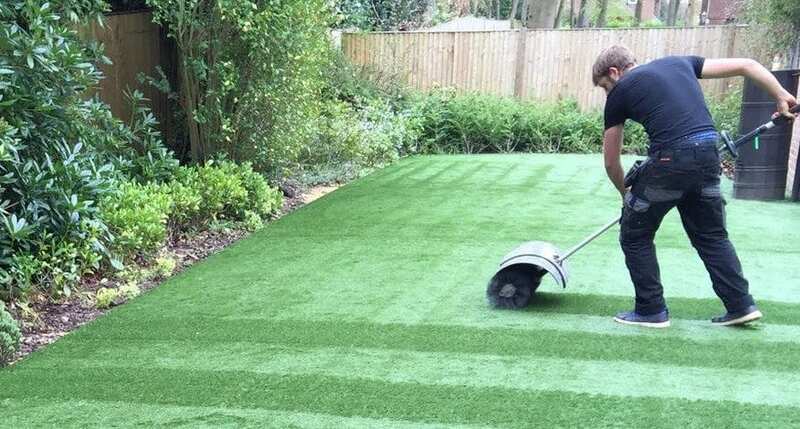 Even on a lawn you will be striping this is best practice.